The Rugby Football League has launched an investigation into a fracas involving the head coaches of rival Betfred Championship clubs Toronto Wolfpack and Leigh. 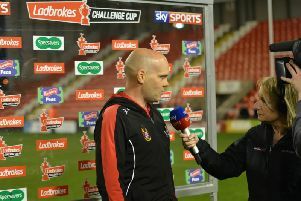 Television cameras showed a confrontation between Toronto's former Leigh boss Paul Rowley and Centurions' newly-appointed head coach Kieron Purtill in the immediate aftermath of the Wolfpack's 28-26 victory at the Summer Bash in Blackpool on Saturday. It followed another alleged incident at half-time involving Centurions assistant coach Paul Anderson and Toronto's former Leigh forward Andrew Dixon. 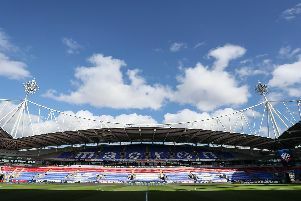 A spokesman for the RFL said it was calling for reports from the match commissioner and both clubs as part of its investigation. "We won't comment further until that investigation is completed," the spokesman added. Meanwhile Hull winger Hakim Miloudi has been cleared of an alleged bite during his side's 30-12 Betfred Super League defeat at Warrington last Friday. Wolves captain Chris Hill claimed his arm was bitten as he went in to complete a tackle on the Frenchman just before half-time. The incident was put on report by referee Gareth Hewer after the England prop made the complaint and pointed to his wrist but the RFL's match review panel decided there was inconclusive evidence to support the accusation. The panel, which said they received no additional evidence from Warrington, says the video "appears to show opponent placing arm into mouth of player rather than other way around". Hull KR prop Josh Johnson was given a one-match penalty notice for a grade B intentional trip during his side's 24-8 win over Wigan. Johnson, who will miss Rovers' rearranged home game against Castleford on Friday, was the only player from round 16 to be charged by the match review panel. The panel issued cautions to Castleford stand-off Jamie Ellis for making physical contact on a match official and to Widnes prop Jay Chapelhow, Catalans loose forward Greg Bird and St Helens back rower Morgan Knowles for making dangerous tackles.